The Ultimate gift of time to unwind, relax and indulge in our inspiring range of treatments and therapies. Beyond MediSpa Gift Vouchers and Day Packages are the ideal way to pamper someone special, treat yourself to some serious 'me time' or enjoy relaxing with friends. Whatever the occasion, make someone feel extra special, Beyond MediSpa Gift Vouchers create the perfect indulgent gift and can be personalised to make them truly unique. Each Gift Voucher is beautifully presented in a luxurious gift box. All voucher holders also receive a Visia® Skin Complexion Analysis and Complimentary Consultation prior to use, so that we can tailor their treatments to their exact needs. 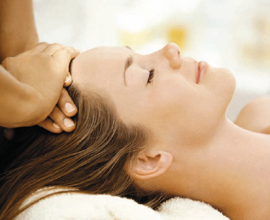 Vouchers are available in monetary values from �25 or can be purchased for individual treatments. 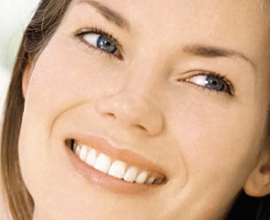 • Optional Medical Consultation with a Doctor and 25% discount on any injectable treatment. Please request a Medical Consultation at the time of booking if you are interested in this. You don't have to join Beyond MediSpa to enjoy our range of exclusive bespoke treatments, but there are benefits if you do. Our Premier Members can take advantage of all of our treatments, all year round, and in some cases, indulge in unlimited sessions. Premier Membership is tailored precisely to your needs and the level of treatments you wish to have throughout the year. All procedures and their frequency are subject to the recommendations of our Doctors and Aestheticians and Healthcare Commission Guidelines. Premier Membership is priced on the number of treatments you wish to have per year, but is always designed to be the most economical way for you to enjoy all the treatments that you would ideally like to have.